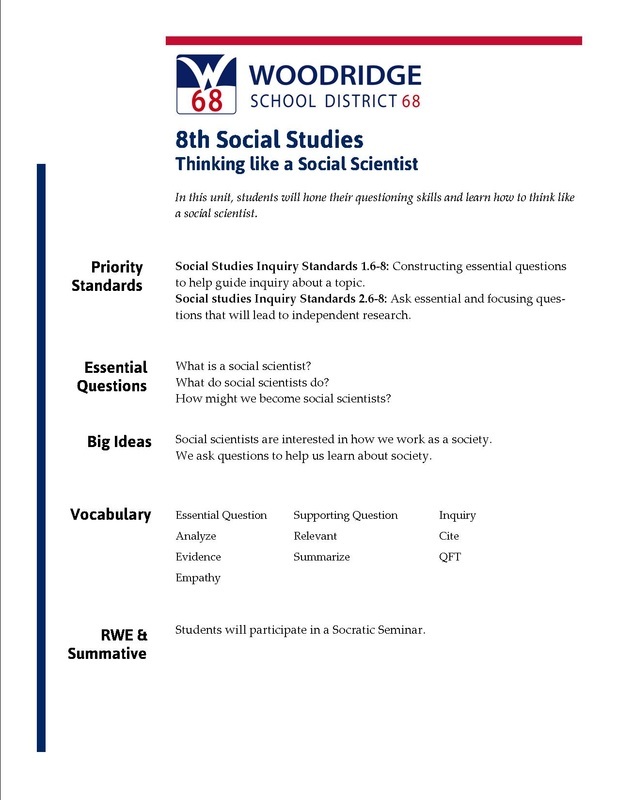 Social Studies Inquiry Standards 1.6-8: Constructing essential questions to help guide inquiry about a topic. Social studies Inquiry Standards 2.6-8: Ask essential and focusing questions that will lead to independent research. What is a social scientist? What do social scientists do? How might we become social scientists? Social scientists are interested in how we work as a society. We ask questions to help us learn about society.